Love this – thank you for sharing. I tried to do sleep training with my eldest and ‘failed’ comprehensively. You’re amazing for sharing this and I’m so glad you’ve found your way free of the shadows of PND. So fundamentally I really agree with you. Societies preoccupation with independence for infants is frankly insane … Misguided at best, selfish and detrimental at worst. However, the image and message at the end of your post gives me pause. As a survivor of postpartum anxiety and ocd with baby 1 and currently mothering baby 2, I think suggesting that mothers need to find a way to meet their baby’s needs and also their own could place an unneccesary burden on moms that are already facing all the challenges and pressures you described. For mommies feeling overwhelmed and vulnerable, i think that image/message is going to feel like one more indictment. I know where you are coming from but really that is the whole point. 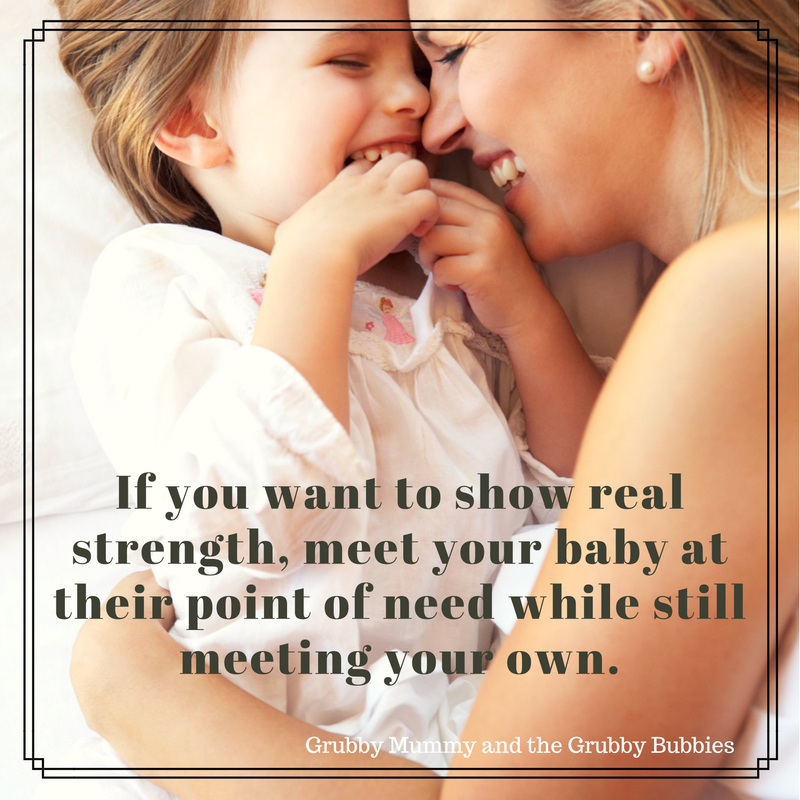 We as a society need to accept that the aim of the game should always be to meet our babies at their point of need while also meeting our own needs. Always. How this is achieved will look vastly different for a mother who is recovering from PPA but it should not be just her burden to bear. The supports that are required to achieve this in reality may be sadly lacking but that doesn’t mean they shouldn’t be the goal. Society has encouraged the view that when a mother’s mental health isn’t optimal, then techniques that sacrifice her baby’s needs are not only acceptable but often ‘prescribed’ as an essential part of the mother’s recovery. I know. This was put to me, too. Thing is, in even my deepest, darkest depression, I knew my baby’s needs still needed to be met. Sometimes I could do it, other times I had to call in help to make up the shortfall. Mamas out there struggling right now need to know that they can do this. They CAN find away to do this. It may not always be pretty but it will always be worth it.